The recreation center "Lazurnaya-2" is located in Berdyansk on the territory of the national reserve. 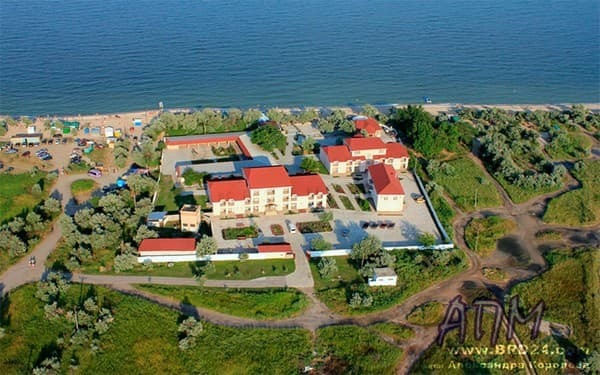 The recreation center "Lazurnaya 2" is located on the shore of the Azov Sea, in the city of Berdyansk. On the one side of the base is the Sea of ​​Azov, on the other is the estuary. 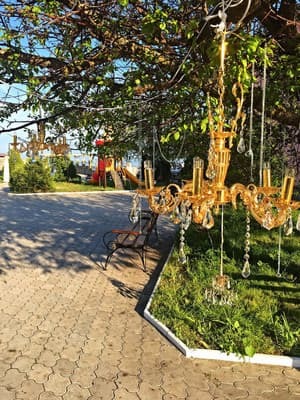 This is the best place to relax on the Azov coast. 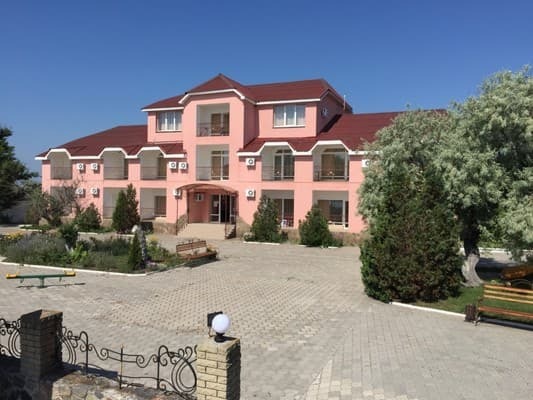 Recreation Center "Lazurnaya2" is happy to host guests from May to September. Our specialization is a family vacation in Ukraine. On the basis of spaciously located from each other 2 buildings and ready to accommodate more than 200 holidaymakers. We have several playgrounds, there is a volleyball field. . You can easily order cocktails, beer and ice cream in our cafe. 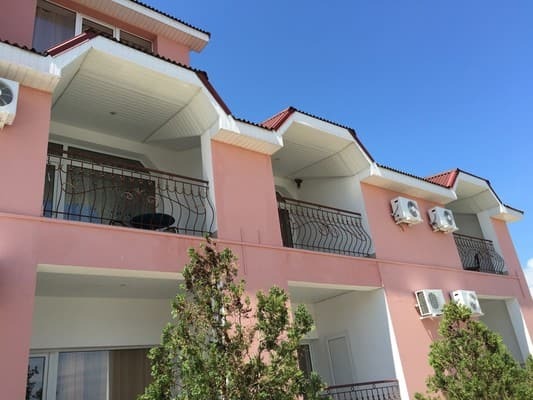 Our Holiday Village Lazurnaya 2 offers accommodation with half board included. Breakfast and lunch are provided on the territory of the summer area, where you choose from the menu offered options for dishes to choose from. Half board includes breakfast and lunch. For the convenience of our guests, lunch time is from 13:00 to 18:00. The menu of "half-board" combines a restaurant, diet, as well as a children's menu. 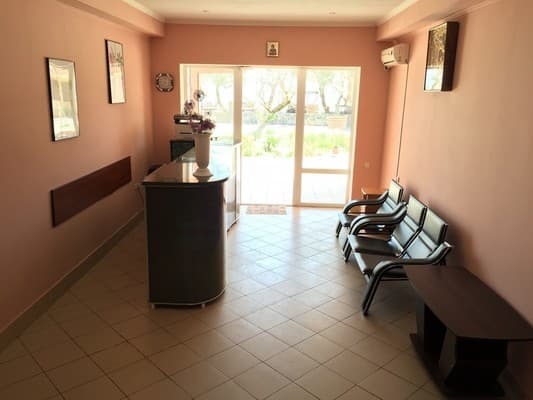 Each guest of the recreation center Lazurnaya 2 will be able to choose the optimal food option, which is suitable for him. In the proposed options, there is necessarily a choice for children. Whichever option you choose, be sure your body will get everything you need for a perfect state of health and a good mood. After 19:00, the Lazurnaya 2 restaurant operates on the A la Carte system, where to the music you can enjoy dishes from our chef. The A la Carte menu is paid separately and is not included in the price. And that would be comfortable for parents to sit in a restaurant, we have different entertainment for children: Animation and evening screenings of cartoons on the big screen.